Over the last years, the tourist season tends to extend its duration as hotels open early in spring time and close by the end of October. Traditionally though, the peak of the season is August, people’s most favourite month to holiday is August and generally speaking when August arrives so does the time for vacation. 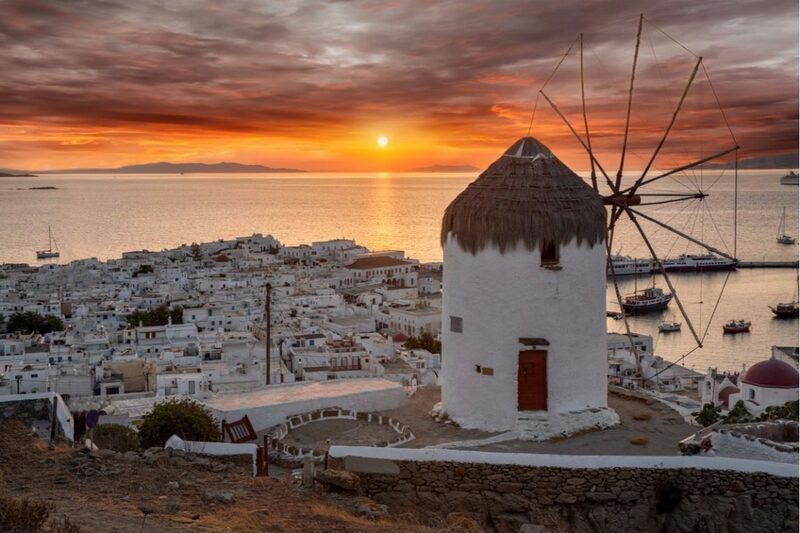 You will hear about the crowds of August but there is no doubt about that the best month to visit Mykonos is August! First of all is the weather. During August, the temperature drops 2-3 degrees C◦ and the north winds (known as meltemia) blow more frequently creating a refreshing atmosphere all the time. Yes, Mykonos can be crowed all through August but this is part of the island’s charm. You ‘d love to see people at the beaches having fun or relaxing, visiting beach bars where people dance and enjoy summer. You simply want to live all that. At nigh time, now, the beating heart of summer entertainment, the Chora of Mykonos never rests. People going from one bar to the other, enjoying a cocktail or a shot, meeting, flirting making up the scenery that Mykonos is all about, an endless celebration of summer. If you don’t want to miss the real fun, then you have to visit Mykonos in August. The same we can say for our new Mykonos sensation, the DK Oyster Bar & Restaurant. We are already celebrating the first August that we have the opportunity to share some of our efforts. For the food, we have to say that as we are taking all vegetables and fruits from Mykonos, August gives the best of tomatoes and more. As for the fun, all August long the DJ sets that are on at DK Oyster Bar & Restaurant to dance to the summer beats.